This one of the many very interesting insect species found at Pelagus. The common name is lantern fly. 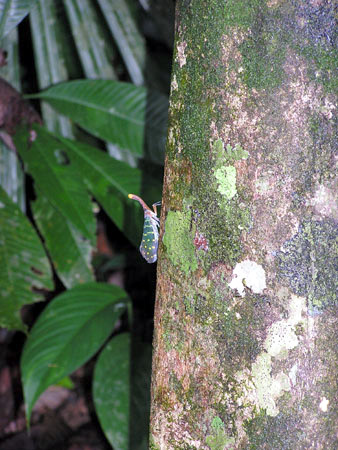 It is probably a leaf hopper species (Homoptera).